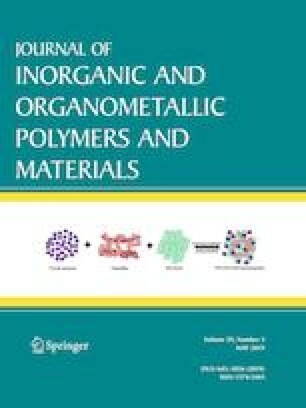 Nanocrystalline Ag/ZnO powders have been successfully prepared by a modified polyol process using triethylene-glycol (TEG) as solvent, reducing and stabilizing agent. The synthesis procedure has been conducted without any post-synthesis thermal treatment. The structural and optical properties have been characterized by X-ray diffraction, transmission electron microscopy, N2 adsorption study, inductively coupled plasma optical emission spectroscopy and UV–Vis diffuse reflectance spectroscopy. 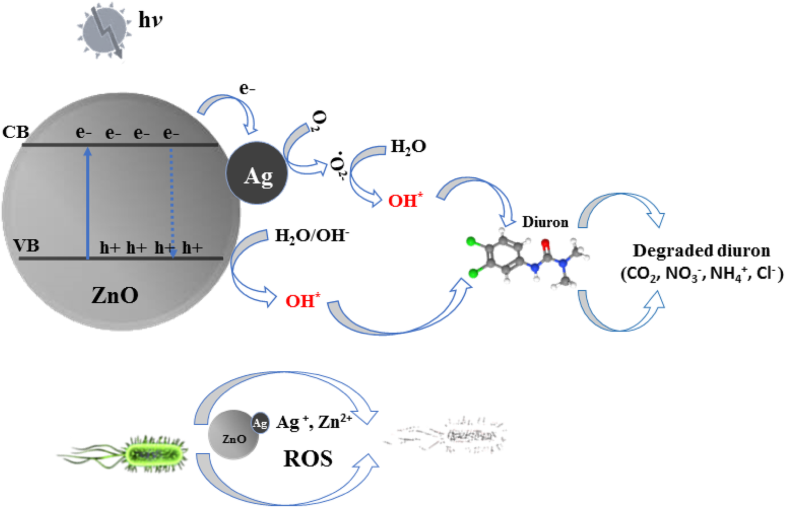 The photocatalytic activity of Ag/ZnO materials has been studied by analyzing the degradation of an herbicide, diuron, under solar light. Ag/ZnO photocatalysts with optimized x = 0.7% Ag content showed 14 times higher rate of degradation than that of unmodified ZnO. We attribute these observations to the addition of silver nanoparticles allowing interfacial oxide-to-metal electron transfer within the hybrid Ag/ZnO photocatalyst. The inhibitory and bactericidal activities of samples have been tested against Gram-negative bacteria; Escherichia coli, Salmonella typhimurium and gram-positive bacteria; Staphylococcus aureus, Enterococcus faecium and Candida albicans. The results showed that the Ag/ZnO can be used as photocatalysts and antibacterial agents for potential practical applications in the wastewater treatment. Schematic of the proposed photocatalytic and bactericidal mechanism of Ag/ZnO nanostructure. Mohamed Ali Saidani gratefully acknowledges the support of the Ministry of Higher Education and Scientific Research of Tunisia. The French National Research Agency is gratefully acknowledged for partial funding of this work, University of Strasbourg, ICPEES are thanked for technical support.